The reset password section of Discharge Express can be found on both the registration and discharge request pages. On both pages, the ‘Reset Password’ link is located on the top right-hand side of the navigation bar. Once you select the ‘Reset Password’ link, it will then show you only one option on the screen – Reset Password. Click this to continue to step 2. Step 2: What e-mail needs to be reset? Once you enter the e-mail you wish to have reset in Discharge Express, it will ask you to confirm the information you have entered – you can Accept or Reject it. The system will then do a quick check to see if your account is LOCKED. An account becomes LOCKED when you have failed too many log-in attempts before requesting this password reset. If your account is locked, please check back to the FAQ section for instructions on what to do if your account is locked. If your account is not locked, you may click reset password to proceed. 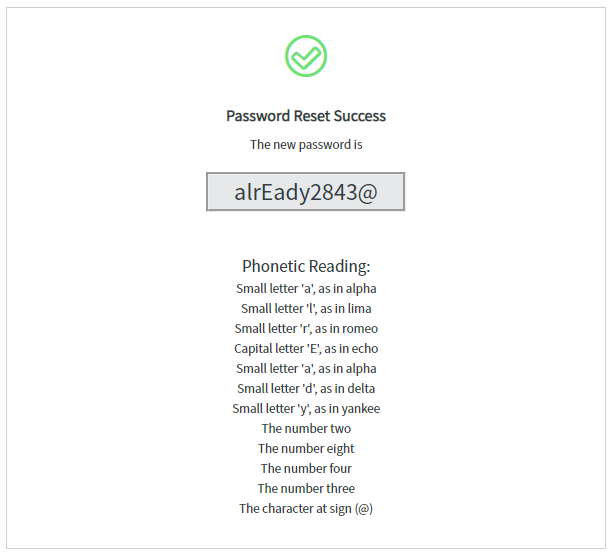 Once you verify your account is not locked and select ‘Reset Password” in the previous step, this next screen will provide you with the temporary password – it will consist of letters, numbers, and symbols. It will also provide a breakdown phonetically to make sure you record it correctly. Now that your password has been successfully reset, you may now log-in to Discharge Express, to redirect back to the portal you will need to click this link below.